Most people probably recognize HP Lovecraft as the creator of Cthulhu, pop culture's original tentacle demon. Folks who have actually read some of his work are less likely to associate him with his creatures (which represent merely the topography of his oeuvre) than his anachronistic, idiosyncratic prose style and the assertiveness and eloquence with which he expressed his peculiar worldview. Fewer still probably think of him as a poet, so today we'll be looking at some of his frequently-overlooked verse work -- namely, the compilation of thirty-six sonnets entitled "The Fungi from Yuggoth." [R]ather tellingly, as [Lovecraft's] career in prose progresses the less poetry he writes – over three quarters of his poetic output dates from before 1919. [Note: from before Lovecraft was twenty-nine years old. -PR] Looking at chronoliogies of his writing, it is very clear that as he embraces the short story as a mode of creative expression his poetic output declines sharply. Seemingly as Lovecraft found his own distinctive voice in prose fiction, the need to conjure up in verse the atmosphere of England in the reign of Queen Anne diminishes. And in his stories he was to find a command of imagery and language that his forays into verse rarely achieved. Although his early works clearly show the influence of Poe and another of his favourites Lord Dunsany, he soon develops his own distinctive voice and iconic creations. But he never entirely gave up on poetry, and was still producing occasional verse and poems for friends up until his final years. And while I generally concur with Stephen King’s remark in Danse Macabre that “the best we can say about his poetry is that he was a competent enough versifier” – damning with faint praise indeed – it must be said that Lovecraft did produce one epic work of verse that deserves to be remembered and more widely appreciated. In many ways, this sonnet cycle is like a tour through the different aspects of Lovecraft’s fiction, visiting the varied aesthetics and concepts underpinning his stories. As a whole the cycle is like condensed Lovecraft, and although some of his most famous creations, Cthulhu and Yog Sothoth don’t get a name check, the verses do reflect the core ideas and atmosphere of the stories that do feature them. Structurally the cycle as a whole is often interpreted as a series of visions or encounters the unnamed narrator of the first three sonnets unleashes from the stolen tome. And this approach does make a certain sense; as Fungi From Yuggoth begins as a narrative, it is only natural that readers expect there is some scheme stretching through the rest of the cycle. Others however see the opening linked verses merely as an introduction or framing device for a random selection of poems lumped together as they were written in the same burst of creativity, or alternatively that Lovecraft had begun the cycle with an idea of a narrative thread that he quickly abandoned. Indeed in A Subtle Magick – The Writings and Philosophy of HP Lovecraft (Wildside Press, 1996) the high priest of Lovecraft scholarship, ST Joshi claims that “it seems difficult to deny that the dominant feature of this sonnet cycle is utter randomness of tone, mood and import” (p.234). He considers the series of visions approach as “very implausible interpretation” and furthermore discounts any claims to a thematic continuity, arguing that there is no real system to the cycle as just because they share common tropes, as the presence of the same shared elements in his stories do not connect all the stories and novels in his canon into one uber-work. 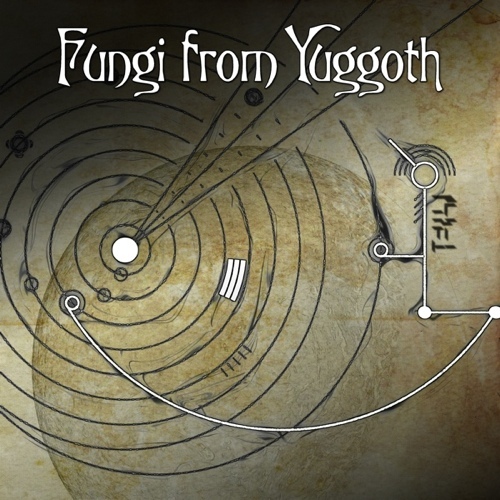 Joshi’s concluding assessment is that Fungi From Yuggoth was an attempt to crystallised a plethora of story seeds and fragments in poetic form as “an imaginative house cleaning” and “a versified commonplace book”. However I have several problems with this conclusion. Firstly, many writers keep a commonplace book - a tome where stray ideas, quotes and other inspirations are noted down – as indeed Lovecraft did. Furthermore HPL’s commonplace books have the origins of many of the sonnets in them. So quite why he would feel the need to note them again in verse form seems a little perplexing. While it may be argued the cycle was an attempt to give these unused ideas some form of creative expression, I find it difficult to believe that Lovecraft would have no other artistic purpose in mind other than releasing some imaginative pressure. Secondly Lovecraft paid very close attention to the form and structure of his works. He was a master stylist; choice of spelling, length of phrasing and even the placement of every punctuation mark mattered a great deal to him. He was often greatly annoyed by the edits imposed by the pulp magazine editors; seeing the glosses to his texts as ruining his carefully crafted prose....I find it difficult to credit that such a meticulous literary craftsman as Lovecraft would just collect together thirty six sonnets without any thought to structural arrangement. Personally I have always favoured the interpretation that after the opening trilogy the rest of the cycle is a kaleidoscope of visions from beyond conjured by the cobwebbed tome. Furthermore I believe there is a definite scheme of links in the arrangement of the verses. If one looks closely at the order of the poems and carefully examine their content – the tone, imagery, and themes featured, it would appear that this trip through Lovecraft’s universe is not quite as random as many have thought it is. I made several fragmentary marginal notes along similar lines as I was reading the poems; fortunately, Mr. Moon's own efforts have spared me the trouble of ordering and elaborating on them. However, I do agree more with Joshi's assessment of the poems as a disparate collection of expanded story germs than with Moon's reading of of them as a hallucinatory narrative stemming from the narrator's theft of The Book. The thirty-six "chapters" are far too disjointed to be reckoned as a narrative -- except perhaps in a very Modernist sense, and Lovecraft's 19th-century literary convictions were quite contrary to those of the Modernists. This is a man who called Eliot's "The Waste-Land" a "practically meaningless collection of phrases, learned allusions, quotations, slang, and scraps in general." (We won't, however, deny that some of the more salient themes in his later work had quite a few points of contact with those of Modernism.) Lovecraft definitely wasn't the sort of author who would sit down to write with the intention of constructing a nonlinear narrative. As Mr. Moon points out earlier, "The Fungi from Yuggoth" might be most interesting for its usefulness as a Lovecraft sampler plate. What we have here is a succinct expression of Lovecraft's style, perspective, personality, and several of his most recurring motifs. On that note, I've taken the liberty of providing links to some of the stories that a given stanza might echo or anticipate. Enjoy! Went for him — but came back alone and scared. Over cool paths — all these their vague dreams shew. Perhaps it would have been better if I had said "well you can just SIGN me up!"